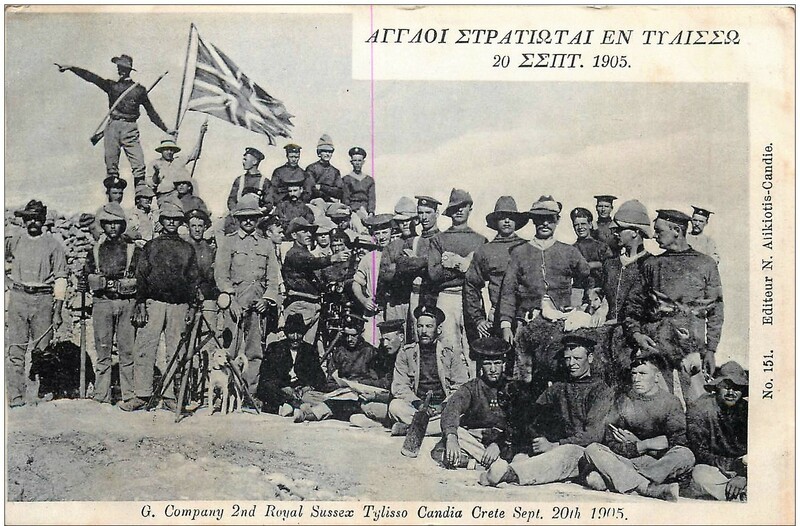 British Army Crete 1905 | The British in Crete, 1896 to 1913. The Theriso Revolt (and the decline of British standards). 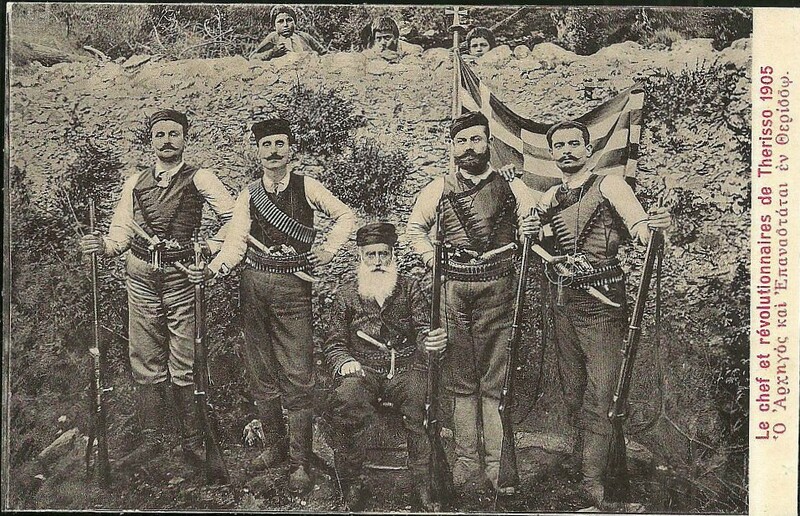 However, the suppression of the revolt clearly resulted in the lowering of the standard of dress of at least some of the British troops, as is shown by the photograph of these members of the 1/King’s Royal Rifles (60th Rifles). 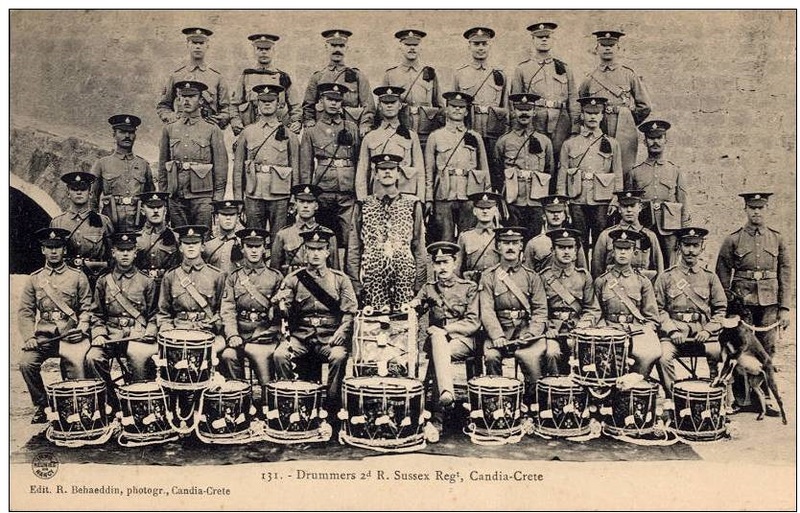 Members of 1/King’s Royal Rifles with an insurgent. The Sphere, 26 August 1905. 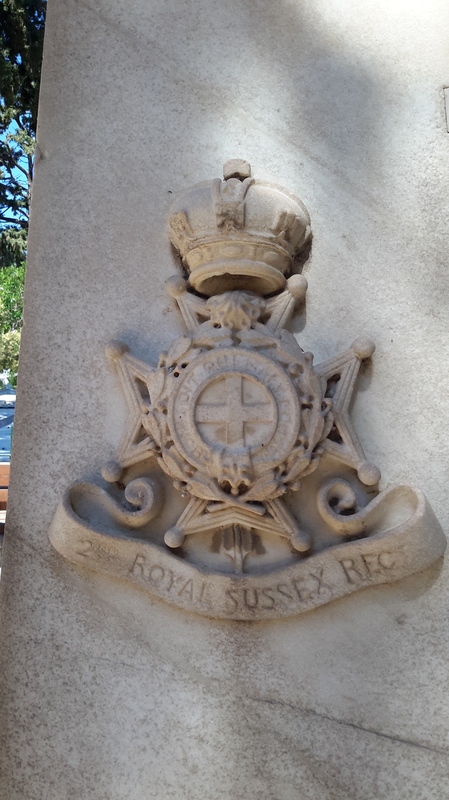 A similar, rather relaxed, attitude to uniform standards was displayed by members of 2/Royal Sussex, the other British battalion on Crete at that time. 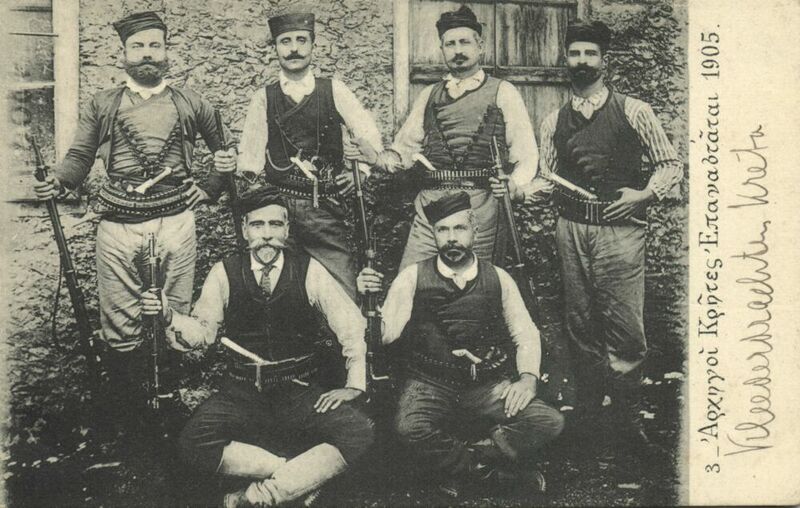 In October 1905 the revolt came to a negotiated end. 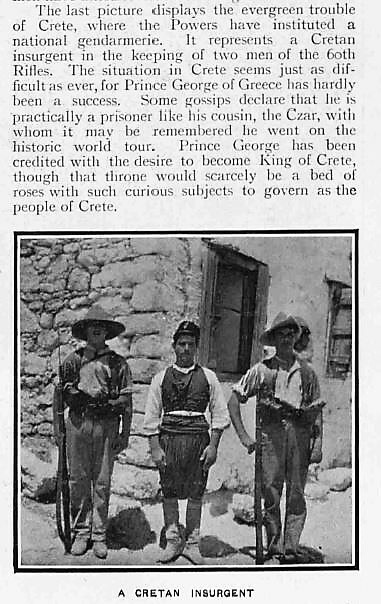 While it failed to achieve enosis, it did effectively bring an end to reign of Prince George who left the island in September 1906. European trtoops (possibly Russian?) 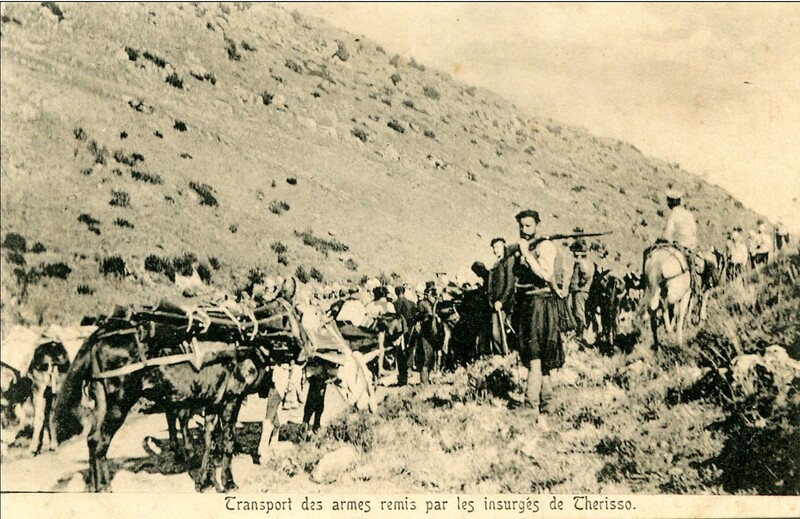 escorting arms surrendered by insurgents at Theriso. 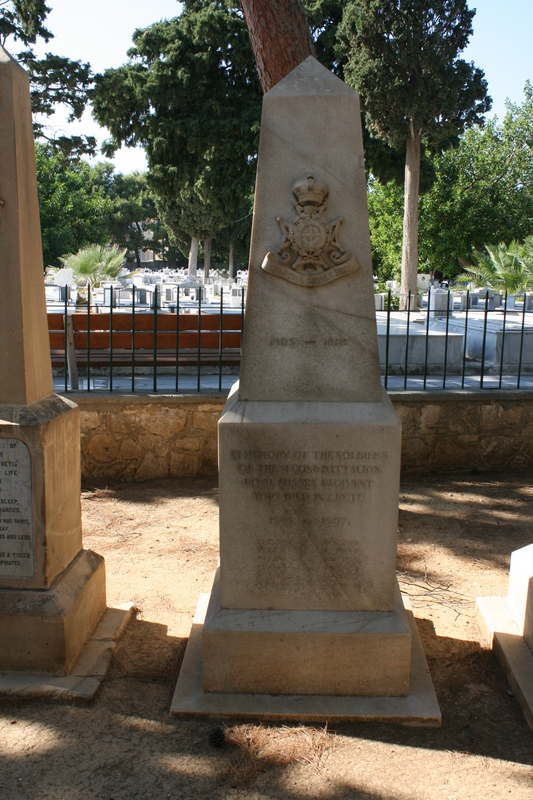 This entry was posted in Enosis, European Intervention Crete and tagged 1/King's Royal Rifle Corps, British Army Crete 1905, Cretan Autonomous State, Theriso Rvolt on July 16, 2018 by Mick McT.